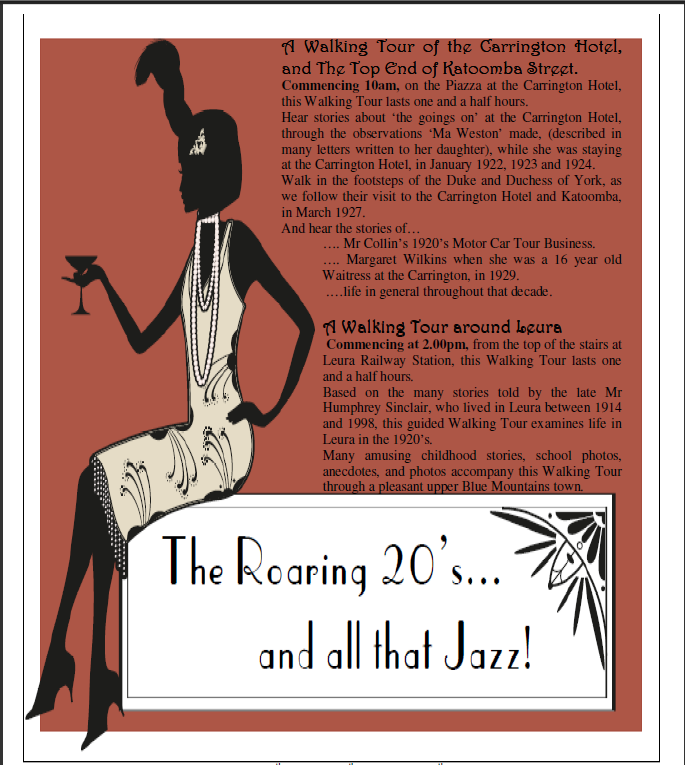 Blue Mountains Tourism is running a “Roaring Twenties” promotion in the upper mountains and central west in February. 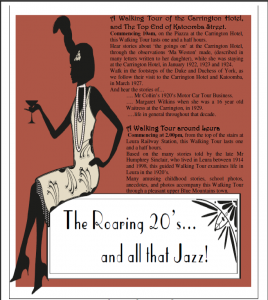 It’s a nice idea with dinners, dances, accommodation specials and other activities all themed around the the 1920s era. One activity that looks particularly interesting is the historical walking tours of Katoomba and Leura offered on the Thursday 10th – Saturday 12th in February. Recounting stories of the time and giving insight into the buildings left behind it looks to be educational and fun. Details on the Carrington Website. This entry was posted on Tuesday, January 18th, 2011 at 5:51 pm	and is filed under Events, Mountains Life. You can follow any responses to this entry through the RSS 2.0 feed. You can skip to the end and leave a response. Pinging is currently not allowed.